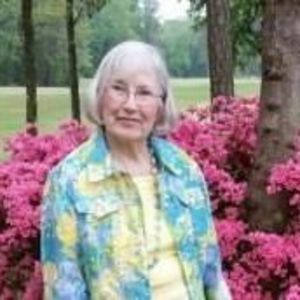 Williamston, N.C.--- Sybil Hardy, 82 passed away on June 11, 2106 at Vidant Medical Center, after battling an extended illness. Sybil is survived by her beloved husband of 32 years, Elton Hardy; two children, Billy Whitford and wife, Linda; Julia Ipock and husband, Russell; stepchildren, Charles Hardy and wife, Barbara; and Jill Gravely and husband, Bill; seven grandchildren: Taylor Whitford, Meghan Ipock, Eva Hardy, Mary Claire Hardy, Carla Hardy, Francis Isenrich, and Ash Gravely. She is also survived by two sisters, Jean Ackiss and Joyce Gaskins; sister-in-law, Mary Fillingame; brother-in-law Gray Lancaster, special nephew Kenneth Fillingame, and many nieces and nephews. She was preceded in death by her parents, Dave and Julia Fillingame; sisters, Marie Whitford, Irene Morris, Loyce Lancaster, and brother, David Lee Fillingame. Born April 5, 1934, Sybil grew up in Vanceboro, North Carolina where she raised her children Billy and Julia. She was an involved member of the Vanceboro community and the Vanceboro United Methodist Church for 50 years. Her marriage to Elton Hardy brought her to the Williamston community in 1984. She cherished her family and home, and she also enjoyed working in her yard and flowers, cooking for family gatherings, golfing, playing bridge and walking. Sybil was an active member of First Presbyterian Church in Williamston where she served as an elder, deacon, ladies' moderator, ladies' circle leader, and Sunday school teacher. She was recognized at both her Methodist and Presbyterian churches for outstanding Christian leadership and loyalty to her almighty God. Her tremendous love for her family, church, friends, and grand dogs, Grady and Pepper, will be a timeless memory and treasured by all who loved her. She will always be celebrated as a wonderful and loving mother, sister, wife, and especially as Grandma Sybil. Funeral service will be held at Biggs Funeral Chapel on June 14, 2016 at 4:00 pm with burial to follow at Woodlawn cemetery, Williamston, North Carolina. The family will receive friends prior to service at 3:00 pm . In lieu of flowers, memorials may be made to the Williamston First Presbyterian Church, 125 East Main Street, Williamston NC 27892, in care of Joey Dunlow, or any charity of your choice.